Harry Redknapp has urged Arsenal boss Arsene Wenger to sign Manchester United’s out-of-favour forward Wayne Rooney. 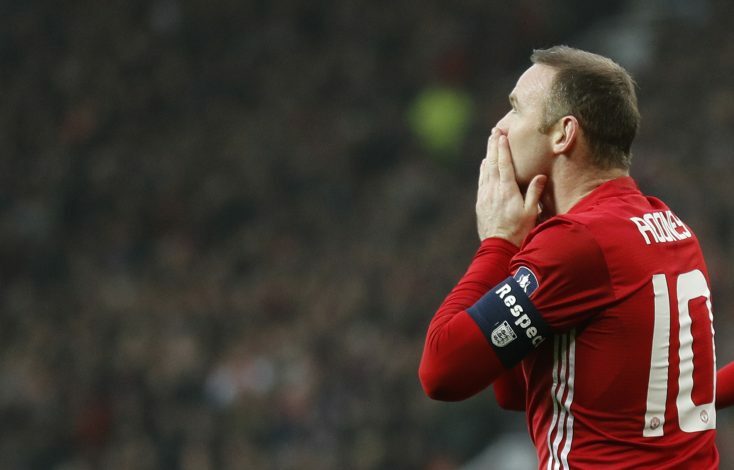 The Manchester United captain is currently enduring a difficult time at Old Trafford, after getting replaced by Jose Mourinho’s blockbuster summer signings from the starting lineup. A lack of game time, coupled with a prolonged spell on the bench, has seen the 31-year-old get frustrated with life in Manchester, and he is now believed to be on the lookout for a move away from the club. In fact, as per some reports, Rooney’s agent, Paul Stretford, is currently in China to negotiate a big-money deal for the decorated Englishman. Amid this enormous speculation about Rooney’s future, Harry Redknapp has urged Arsene Wenger to break the bank and make this Manchester United ace his shock signing, so as to give his team a much-needed gigantic boost. Redknapp wrote in his Evening Standard column: “Arsenal looked at him a few years ago so we know Arsene is a fan. He would improve that team overnight because they have an issue with attitude and he is a winner. “I watched Arsenal the other night at Sutton and I know it was a difficult pitch but some of their younger players were getting caught in possession, losing it cheaply and were putting their team in danger. There was nobody there shouting: ‘Oi, f***ing liven up!’ They get away with it all the time. “Nobody sticks the boot into them, whether that’s from the dugout or other players on the pitch. Rooney would be someone out there on his team-mates’ case, digging them out if they aren’t at it. That would be invaluable for Arsenal. As tough as this transfer would be to pull off, nobody can deny the fact that if Rooney does end up leaving the Red Devils for the Gunners, Arsenal will straightaway become genuine Premier League title contenders next season, much like Sir Alex Ferguson’s men did when they lured in Robin van Persie from the Emirates.